Scottish Borders Young Professionals held an information event for First Time Buyers. Two of our own young professionals, Suzanne Gray and Piers Baylis, gave presentations for first-time buyers about buying property which were well received by the attendees. As your Purchase Conveyancing Solicitor, What do I do? I will check a number of matters in relation to the property and assist you in the formal agreement with the Seller. A full list would be too long for this article however these are the more general aspects. This may seem obvious but it is an important aspect to check. I will confirm the capacity of you as a buyer to buy and of the seller to sell. What is all being sold? I confirm this by checking the title deeds to the property, confirming the boundaries of the property and any rights that come such as rights of access or others who may have rights over your land. The main objective here is to ensure there are no surprises on the day you receive your keys and enter the property. You should know your rights, your boundaries and the condition of the property should be as you expect. To achieve this, I will advise you on the agreement you have with the seller for buying the property, known in Scotland as the Missives. The important thing to remember about the missives is that they usually reflect the only agreement you have with the seller to purchase the property. This means it supersedes any verbal agreements you have made and so you will need to be confident you have everything you wish included within. The missives begin with a Formal Offer setting out among other things the name of the purchaser, the price and the date of entry, (the date you collect your keys and pay the price). The formal offer will almost always be based upon the Scottish Standard Clauses, a Guide to which you will be provided with as a part of the process. The Standard Clauses form part of the missives and are drafted in such a way as to cover the major aspects of the purchasing process. When you receive your copy, you should read through this thoroughly (it is written in reasonably plain English) and ask any questions you may have about this. Once the seller has had a chance to consider the Formal Offer they will usually respond with a Qualified Acceptance which is a way of saying they are happy with the Formal Offer but wish for a few changes, usually listed in a numbered fashion on the acceptance. During this period, I am usually checking the legal side of the property and ensuring you are happy with the condition of the property. I will also be keeping an eye on your funding situation to ensure your funding is in place. Once all three aspects are confirmed: that you are happy with the legal title to the property, the condition of the property and your funding is in place, we can issue what we call a Concluding Letter. This letter concludes the contract and makes the missives legally binding on both the buyer and the seller. Get in touch with your solicitor at an early stage. You can do this even before you are at the point of making a formal offer. You may be glad of a current appraisal of your position. Know how you are going to pay for the property. You should be confident in your funding situation before making a formal offer on a property. Know whether you can pay outright with cash or whether you will need a mortgage or the sale of another property. However you plan to fund the property, you should have clear in your mind the date in which the funds will be available as the seller’s solicitor will want to know this. Be aware of the concept of ‘Let the Buyer Beware’ when it comes to buying a property in Scotland. This is a principle that generally favours the Seller and requires you to satisfy yourself as to the property you are purchasing. It can be broken down into two parts: a) The physical condition of the property and b) The legal title to the property. Satisfy yourself on the condition of the property by viewing the property and reading the Home Report. We rely on the Home Report when considering the condition of the property. Make a note of your thoughts and concerns. You may consider instructing a further survey or having tradesmen visit the property and look into aspects you may be concerned about. Any further surveys or reports that you require are generally best mentioned in the formal offer so the seller knows where you stand on the condition of the property, whether you are satisfied or whether you wish to investigate further. The legal title to the property. Your solicitor will examine the title deeds and report back to you so you can satisfy yourself on the legal title to the property. Expect a quote from your solicitor. Your solicitor should provide you with a quote for the estimated legal costs to purchase the property. This includes legal fees and also any other costs such as registration costs and tax. The good news for first-time buyers is that, as Hastings have a “No key, No fee’ policy, if your offer is unsuccessful we don’t charge you. If you are buying in Scotland you will need a Scottish Solicitor. If you are selling, Hastings Legal are the top-selling Solicitor Estate Agents in the Borders. With a Solicitor/Estate Agent you have more control of the process. can do to help you find your ideal home or your ideal buyer give us a call or pop in to one of our offices in Kelso, Duns and Selkirk. It’s never too early to call Hastings Legal, your dedicated Borders firm of Solicitors and Estate Agents. Here for you in the Scottish Borders. 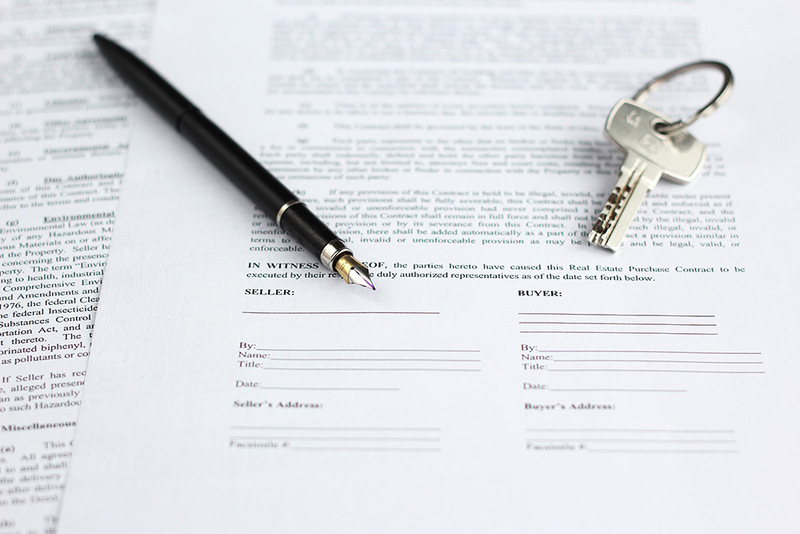 The missives are the starting point of your purchase and the contract between you and the seller for buying your house and are made up of formal letters passing between the two sets of solicitors. They normally comprise an offer by ourselves on your behalf identifying the property, the price and a date of entry, which is the date on which you will get the keys to your new home. The style of offer which we use also refers to what we call the “Standard Clauses” which is a set of clauses designed to apply to most transactions and to bring to attention any oddities about the property at an early stage. When we submit an offer we will copy this to you along with a copy of the Standard Clauses. We would then expect to receive a qualified acceptance from the seller’s solicitors. This may contain a number of qualifications to the offer. We will discuss these with you and decide whether or not the qualifications are acceptable or whether we need to modify them. In fact, you can often have several letters going back and forward between the solicitors adjusting the terms of the missives. The critical point is reached when one or the other of the two sets of solicitors says in the course of one of the missive letters “We now hold the bargain as concluded” or similar wording to that effect. At that point the full terms of the missives have been agreed and the deal has become final and binding on both parties. It is not binding until we get to that stage and until then either party can walk away from the transaction. It does not often happen that a party walks away but there can be delays in tying up the missives while we wait on receiving an offer of loan from the lender or try to tie up the missives for the sale of your current house. We will do our best to conclude the missives as soon as we can but we will only do so once we know any concurrent sale is secure and that your funding is in place. The seller’s solicitors will send us title deeds to the property. We will check through the title deeds to make sure that that the title which you are going to get to the property is “valid and marketable” (i.e. good). We also check to make sure that any necessary rights of access or for drainage etc are in place. We will also normally copy the relevant Land Certificate or main title deed to you for your information. We check to ensure that all the appropriate local authority permissions exist for any alterations to the property. We then draw up the deed conveying the property to you, along with drafts of the forms required for submitting this deed to Register House and the necessary Stamp Duty Land Tax Return. The seller’s solicitors will check our draft deed and forms and then return them to us and deal with any queries which we may have raised. We then send them the principal deed in your favour for signature by the seller. The seller’s solicitors will exhibit to us a Property Enquiry Certificate for the property which details whether or not the property is connected to the usual mains services, whether there are any outstanding Building Warrants or Planning Applications affecting the property, whether the roadway is taken over and maintained by the Local Authority or affected by any Planning Notices or Listings. we will also have to draw up the appropriate deed for that (called a Standard Security) and have that signed and we need to send confirmation to the lender that the title to the property is safe for them to lend against and also asking for the loan funds for the date of entry. We will send you a State for Settlement indicating how much money we require from you to settle the transaction, including our fees, Vat, Stamp Duty Land Tax and registration costs. We need to have cleared funds from you by the date of entry; this can be by cheque at least a week in advance to allow time for it to clear or by bank transfer the day before. Please note that there is a daily limit to the amount you can transfer through internet banking. for buying a house is that solicitors should settle most conveyancing transactions by cheque, rather than a telegraphic transfer of funds. Quite often we do not receive a client’s mortgage funds until the day of settlement. If we are relying on funds coming from a sale to fund a purchase, settlement by bank transfer is not easy. Once a bank transfer is instructed all the bank guarantees is that the funds will hit the recipient’s account at some point during that day, i.e., at any time up until 5pm. However, if we are waiting on those funds arriving to then transfer out, there is a cut-off time for instructing transfers of about 3pm so the situation can arise where there is a need to transfer funds out before funds have come in and that is simply not possible. If transactions are settled by cheque, although we may ask the other solicitors to hold as undelivered until we confirm that either we have received your loan funds or settled a sale transaction, then a telephone call can be made and the cashing of the cheque authorised. This avoids a potential delay of several hours in the banking system which can occur with telegraphic transfers. In exchange for the price we will receive the signed deed transferring the property to you, the remainder of the other title papers for the property and you will get the keys! We then submit the Stamp Duty Land Tax form and pay any tax due and send the deed transferring the title to Register House in Edinburgh to register the transfer of title. This may only take a few weeks. When an updated Land Certificate is issued we will copy this to you and either put the original in our fireproof safe for safekeeping or send it to your lender if they require. This is only a brief synopsis of what we do for you when buying a house. No two transactions are the same, however, and we quite often have to deal with other issues that arise; but that’s what we are here for!